With the Business Show 2016 and World Fair Trade Day both happening this month, all eyes are on small businesses to see how they can make the world a better place. At the heart of many good businesses, there is usually an element of altruism. Whether it’s because you want to provide the people with world-class whiskey or whether it’s because you want to provide the people with world-class coffee, good businesses aim to make things better. We believe that the best way businesses can make things better is to make things safer. There are many reasons why a safe warehouse is essential to trade, but here are just five. We’ll start with the obvious statement that nobody wants to trade with a company that is breaking the law. However, with regards to warehouse safety, this is a mistake that some big companies are still making. Anheuser-Busch, the multinational beer giant who should probably know better, recently paid $150,000 to OSHA after failing to adhere to basic aisle and pallet racking safety standards. Breaking the law can make your company look bad, but bending the law right up to breaking point doesn’t look good either. A famous sports retailer in the UK has been accused of pushing its employees to the edge after it emerged that ambulance services had been called to their warehouse more than 80 times over a two year period. The company has not yet been accused of breaking any laws, but all press is certainly not good press in this instance. 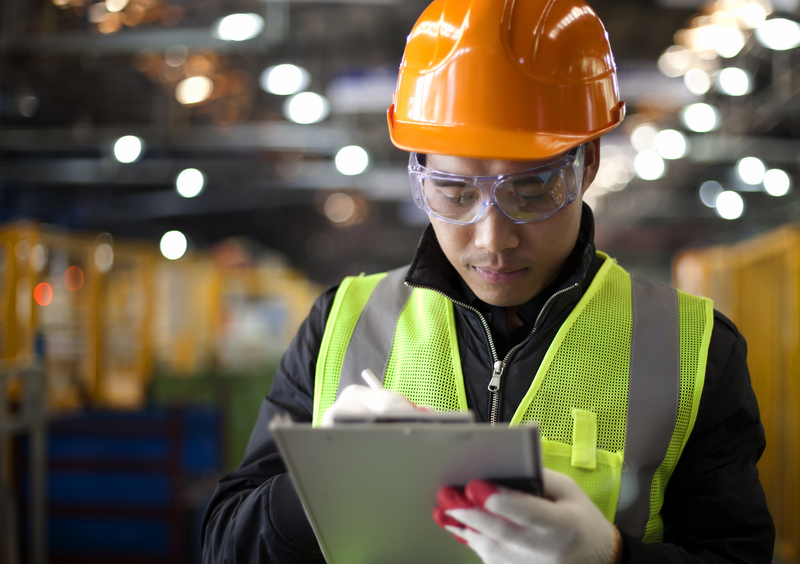 Rather than looking at warehouse safety as something that businesses are obliged to do because of the law, or for fear of looking bad, warehouse safety should be seen as an opportunity to rally your employees around a common goal. Racking inspection training is one of the many ways to get employees motivated about health and safety. Training of any kind can help employees to feel valued, respected, and important members of the team. However, racking inspection training has the added benefit of doing all those things while making your warehouse safer. What kind of warehouse do you want? An efficient one full of highly skilled and highly motivated employees helping you to trade as quickly and safely as possible? Or a slow warehouse filled with underskilled and undervalued employees who are forced to navigate a dangerous warehouse in order to help a company that they don’t care about? When you put it that way, the answer is obvious. Warehouse safety makes things easier. When employees are not trained enough with regards to safety, they are not confident, they are not motivated, and they work less. All of this slows the pace of warehouse work and, worse still, makes warehouse work unsafe. Accidents slow the pace of work even further by de-motivating employees and the negative feedback loop continues. When employees are trained well enough, they have the confidence to work faster and safer. Employees who work in a faster and safer warehouse are more likely to feel motivated. This isn’t just conjecture. It’s all part of the psychology of workplace safety which HSL, the government funded research branch of HSE, has been exploring. Signing contracts with trade partners is about long-term investment, and nothing says long-term investment like a safe warehouse. Moreover, racking inspection training and warehouse safety training in general are further examples of a long-term investment. If you want any business to trade with you, a secure future is essential, which is precisely why warehouse safety is essential too. Secure the future of your business with expert racking inspections and pallet racking inspection courses from the UK’s best SEMA-approved racking inspectors.